Legendary cricketer and paternal grandfather Bishan Singh Bedi shared the first picture of the baby on Twitter and captioned it as, "U Little Beauty MEHR..another Lifeline for Grandparents...Both Maternal & Paternal..Aren’t we Blessed..?!! Yes All of it by Guru’s MEHR Only..GodBless Little One..Welcome to this Journey..Ordained by Almighty WaheGuru..!!" With a teddy by her side, baby Mehr is seen sleeping in a crib, wrapped in woollens. 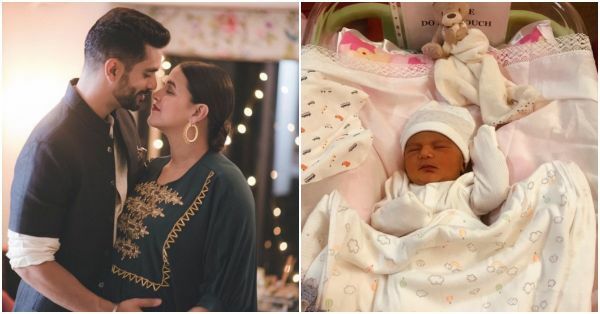 Daddy Angad Bedi gave a health update on the mother and child earlier this week. He said that it has been overwhelming but both his girls are doing well. Welcome to the world, Mehr Dhupia Bedi.